The Yucatan Pennisula is known to have the world’s largest number of underwater sinkholes, or cenotes. Once revered as sacred by ancient Mayans, they now draw travelers, explorers, and adventurers alike. Formed when limestone is gradually eroded over hundreds of years, cenotes are an excellent place to swim, snorkel, or dive. Here is our guide to the most beautiful cenotes in and around the town of Tulum. Just three miles (five kilometers) from central Tulum, the Gran Cenote is very popular with swimmers and snorkelers of all ages. Partially submerged tunnels connect the cenote’s open-air sections. The location is very popular with divers, as it provides access to the world’s second-largest cave system. With its sandy bottom and sunbathing decks, the Gran Cenote is also a favorite with swimmers and those looking to relax in the sun. Keep an eye out for bats and even occasional toucans. 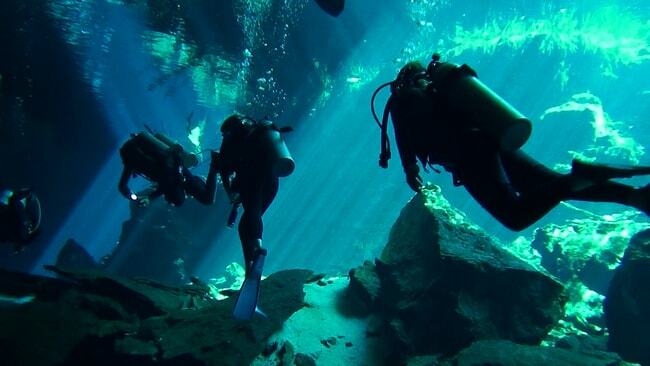 One of Mexico’s most well-known cenotes, Dos Ojos is a magnet for tourists. The name translates as “two eyes” and refers to the fact that the cenote itself is split in two – one half is clear and shallow, making it perfect for snorkeling, while the other half is deeper and is best for scuba divers. A short car ride from the Cobá ruins, the Cenote Choo-Ha is an impressive underground cenote. Accessed via a small opening in the ground, a narrow wooden staircase leads into a huge round cavern. A great place to visit with children or young adults, the high rock ceilings boast thousands of stalactites and stalagmites. 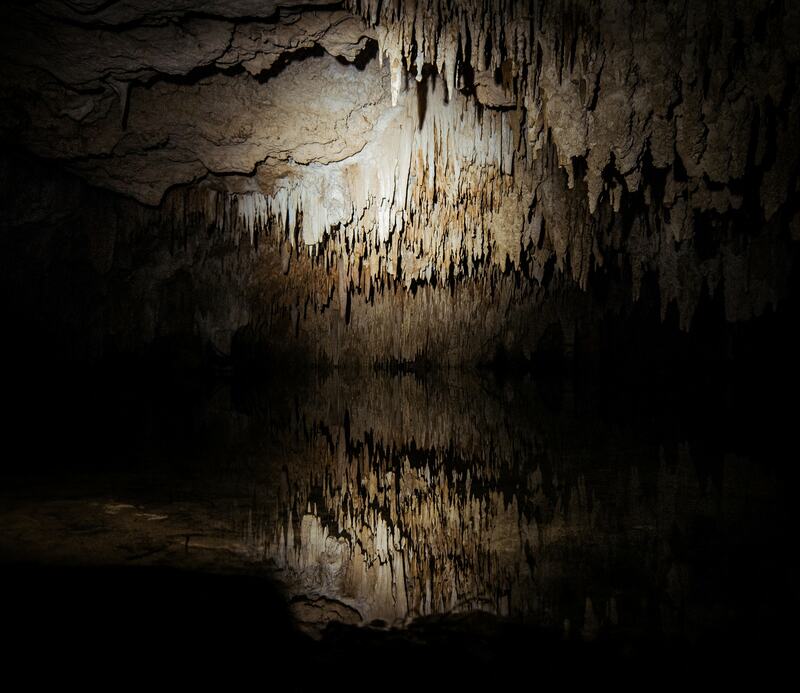 There are two other cenotes in the immediate area. Tankach-Ha is loved by dare-devil cliff divers, and Multun-Ha is best for scuba divers. 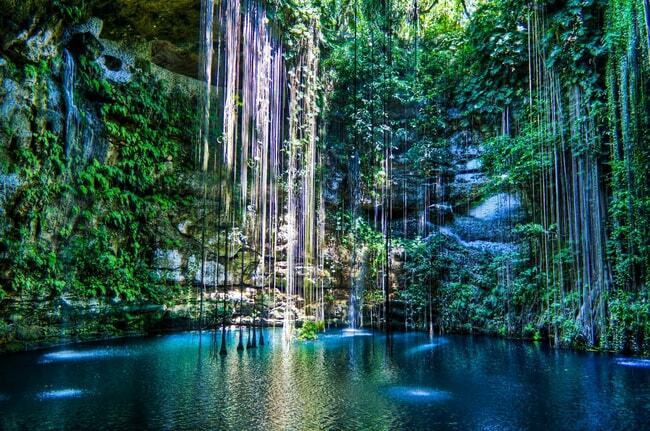 Also known as Cenote Jardín del Edén, this is a stunning destination for swimmers. With fresh, crystal-clear water, the vast open cenote is also home to all manner of wildlife, including brightly colored motmots, turtles, and freshwater eels. Thrill seekers will also enjoy making a daring jump from the edge of the cenote into the water. Around 15 minutes from central Tulum, Cenotes Labnaha is widely regarded as one of the best sinkholes in the Riviera Maya. Unlike most cenotes in the region, Labnaha maintains a strict maximum limit on the number of daily visitors, therefore reducing the impact on the local environment. Qualified and professionally trained guides from the local area provide excellent tours for visitors, and the organization is also committed to working with and helping local Mayan communities.